Philosophers speak up after Rubio debate jab. Photo illustration by Juliana Jiménez. Painting by Jacques-Louis David/Metropolitan Museum of Art/Creative Commons and photo by Dmitry Kalinovsky/Thinkstock. This statement turns out to be incorrect on the most basic factual level. 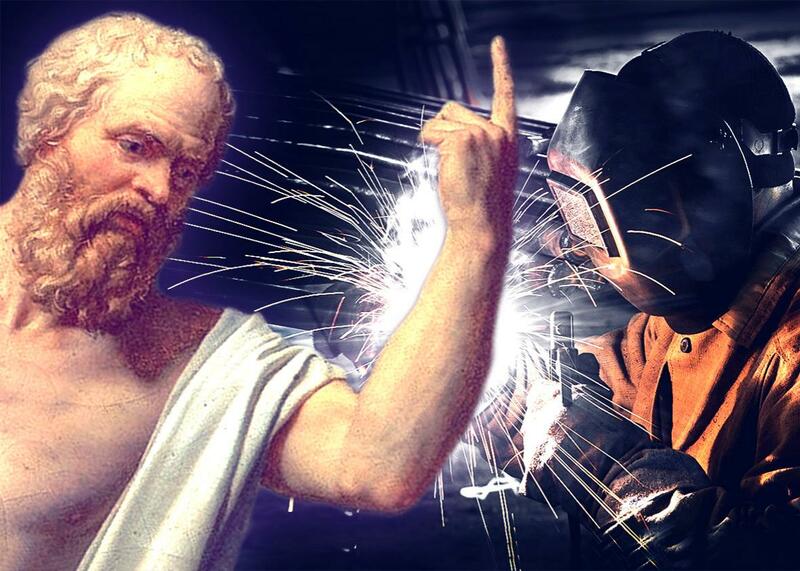 The mean annual salary of postsecondary philosophy and religion teachers—the best proxy for “philosophers” available in Bureau of Labor Statistics data—was $71,350 as of May 2014. For welders, cutters, solderers, and brazers—again, the best proxy for “welders” that the BLS has to offer—the mean annual wage from that same period was $40,040. We put this information in a chart, and served it up to the Internet. On the one hand, I feel like the initial chart was pretty upfront about what data it contained. On the other, this is a valid critique. So in the interest of clearing the matter up, I dug into the numbers a little deeper. Spoiler alert: Rubio is still wrong. Why is there an emerging opportunity gap? And the primary answer is because this new economy that we now live in—which is not an industrial economy, it’s a post-industrial economy—is a knowledge-based one. In order to have middle-income, middle-paying jobs, the kinds of jobs that allow people to get ahead, you have to have higher level of training and skill acquisition and education than ever before. And we have too many people that don’t have those skills. And, in fact, the people who would most benefit from acquiring those skills are the ones least likely to get it because of its cost or because of the way the system is structured. 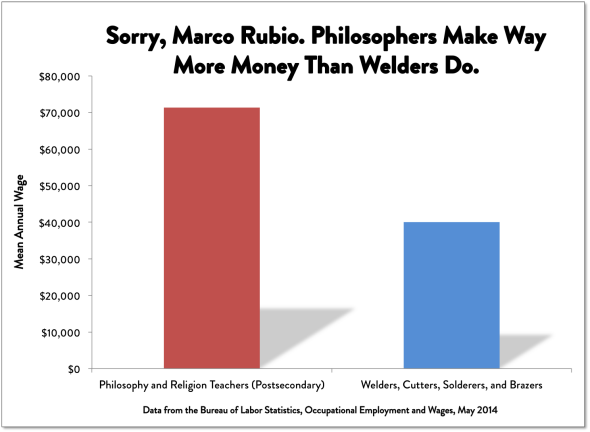 In other words, Rubio doesn’t seem to actually think we need a nation of philosophers or welders. Too bad!